Click the link below to watch the FBI and DEA's documentary, "Chasing the Dragon: The Life of an Opiate Addict." What is the connection between prescription pain medicine and heroin? 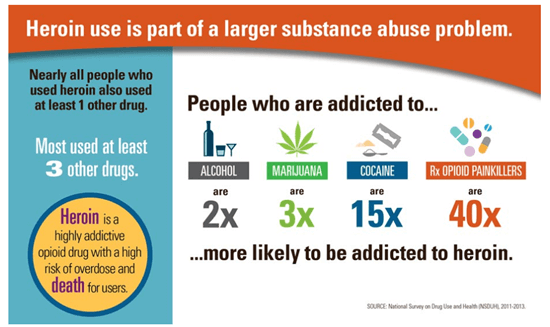 According to data from the Substance Abuse and Mental Health Services Administration (SAMSHA) survey on Drug Use and Health, between 6 and 7 million Americans (age 12 and older) have misused a prescription painkiller, and it is estimated that 5,500 people do so for the first time every day. 91 Americans die every day from an opioid overdose (both prescription drugs and heroin). 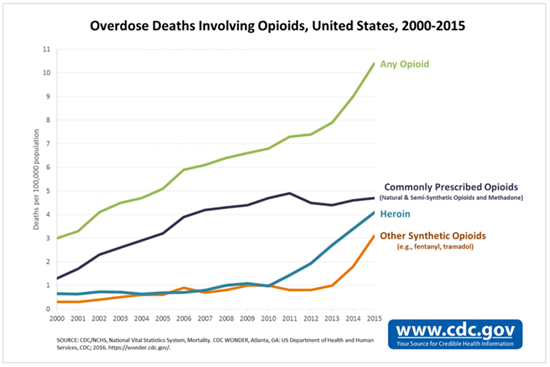 Drug overdoses are now the leading cause of accidental death in the United States. Patient visits to emergency rooms for problems associated with medication misuse exceed those for illicit "street" drugs. The misuse of any prescription drug can be harmful. Prescription pain medicine and heroin are in the same family of drugs called opiates and opioids. These medicines are prescribed by doctors to relieve pain. However, they also affect the pleasure center of the brain and, for some, may produce a state of well-being and euphoria. All opiates can lead to the disease of addiction. Common opiates include: Codeine, Fentanyl, Hydrocodone, Hydromorphone, Meperidine, Percocet (oxycodone with acetaminophen), Methadone, Morphine, Oxycodone, Oxymorphone, Tramadol, Vicodin (hydrocodone with acetaminophen) and Heroin. How does an opiate work? Opiates bind to specific opioid receptors in the brain and cause a rapid surge of the chemical dopamine to flood the brain. This surge causes an intense euphoria and sense of well-being. Chronic use of opiates/heroin usually leads to an obsessive craving to achieve this feeling. Opiates also suppress respiration and can cause respiratory arrest and death. Started on prescription pain medications for a legitimate injury. Soon noticed that they liked the pleasurable effects. After a few weeks, began taking more than prescribed and became dependent. Access to prescribed pain meds runs out – person starts to obtain pain meds illicitly. Ultimately switches to heroin because it's cheaper and more accessible. With continued use, any person taking opiate medications will develop tolerance where they require increasing amounts to achieve the desired effect. Over time, the individual will also develop a physical dependence. Both tolerance and dependence occur naturally in everyone. 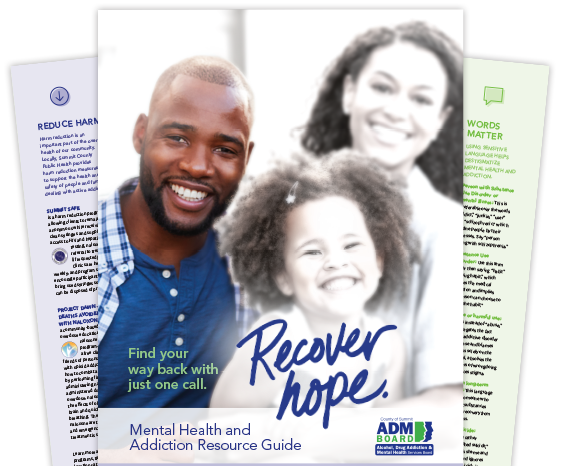 For individuals whose genes set the stage for the disease of addiction, opiate/opioid use causes brain changes that take over so that the person feels like the continued use is needed for survival. When this occurs, the "need" for the drug becomes the driving force in that person's life. Once someone is addicted to an opiate, withdrawal syndromes occur if use is discontinued. Withdrawal is sometimes referred to as being "dope sick" and symptoms are severe including chills, vomiting, diarrhea, nausea, irritability and trouble sleeping.